The well-known Uni toaster, the UT280 and UT400, have a new family member. In cooperation with our customers, we have developed a new version of the Uni toaster. This special model is ideal for burger buns when you wish a warm outer bun and Caramelized Cutting surface. 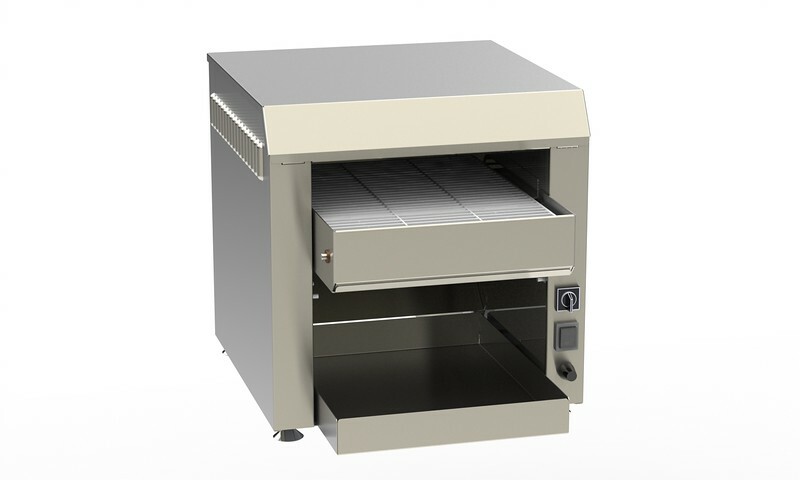 The special configuration of the heating elements with three heating element in the top and one in the bottom gives you a perfect toasting result every time, and the variable speed makes it able to toast every type of burger bun. The toaster can be equipped with a chute which makes it possible to put extra buns in the toaster during peak hours. These new additions make the toaster very versatile and user-friendly, adding to the quality in your burgers.